David Portnoy (Kodi Smit-McPhee), a 15-year-old birding fanatic, thinks that he’s made the discovery of a lifetime. So, on the eve of his father’s remarriage, he escapes on an epic road trip with his best friends to solidify their place in birding history. 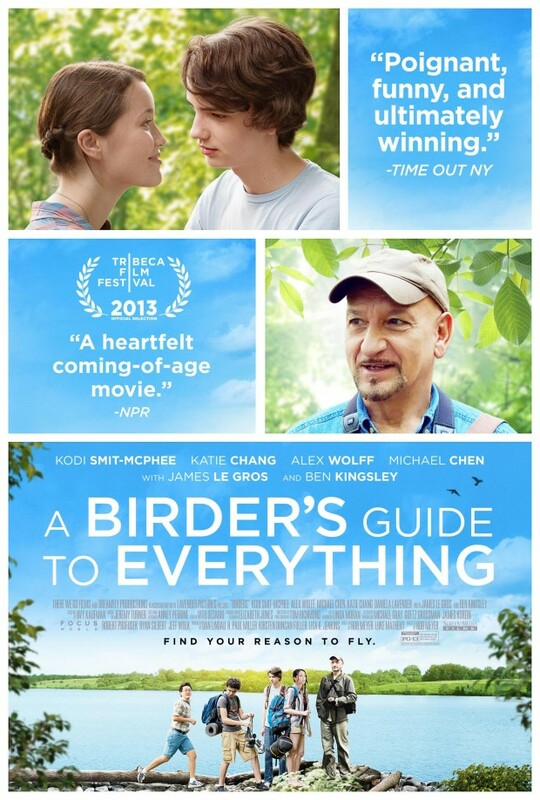 A Birder’s Guide to Everything opens in theaters on March 21st after a VOD debut on March 11th, 2014. Reproduction without explicit permission is prohibited. All right reserved. Photos & certain artwork used on MovieProNews are copyright protected and are the property of their respective owners. & other trademarks used herein are the property of their respective owners. 114 queries. 0.067 seconds.